Please email us at enquire@sugariesweetbakeshoppe.com for orders or enquiries, we will definitely try our best to work out something for you. All PAID orders are taken on a first come first serve basis only. 14 days lead time is required. 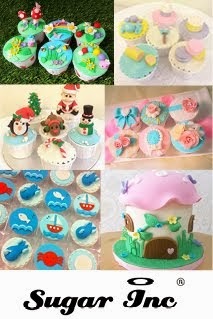 For festive occasions or large orders please place your order 3 months or earlier in advance to avoid disappointment. We will try our best to squeeze in last minute orders but it is subject to our hectic time schedule. We seek your understanding if we are unable to take in your orders. We will only block your order date when payment/deposit (for large orders) is received and confirmed. We recommend customers to order in 14 days in advance to avoid disappointment.